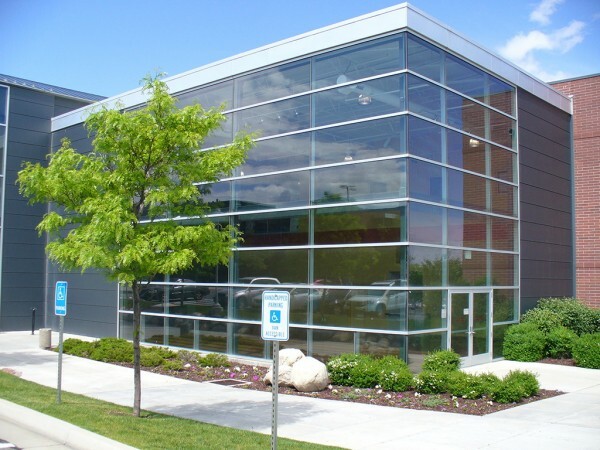 Salt Lake Community College’s Larry H. Miller campus in Sandy includes the Miller Business Resource and Innovation Centers, the Women’s Business Institute and a Career and Technical Education Culinary Arts program. Miller campus is also home to 20,000 square feet of self-sustaining conference and facility rental tech space, the Utah Department of Public Safety training facilities and is a one-stop service available to Utah business owners and start-up companies. “We develop business as we do business,” says Randy Schouten, Division Chair of the Miller Business Resource Center. By joining committees of industry leaders with Career and Technical Education, Miller Business and Innovation Centers work in-tandem to jump-start Utah economic progress. Miller business initiative is exemplified by its participation in one of eight national partnerships with the Goldman-Sachs 10,000 Small Business Program. The $500 million dollar investment connects entrepreneurs with capital resources necessary to create employment and advance new technology through business support and education. SLCC faculty adapted the program curriculum designed by Babson College. “Of the Goldman-Sachs partnership’s first graduates, involving 33 growing businesses, 17 were women-owned. Net 74 new jobs from administrative to entry-level,” Gunn says. Using state-of-the-art operations and logistics, the SLCC Miller Global Business Center trains for the commercialization, manufacture and distribution of new technology in world markets reaching as far as the Middle East and India. Presuming no experience, a Miller Executive Certificate of Global Business Management guides the unproven business into transnational distribution co-ops and streamlines global performance for existing businesses. Miller’s positive economic impact is made possible through practitioner expertise and hands-on, or as-needed, company-wide training, mentoring and instruction. For details, contact Stan Rees at 801-957-5336 or e-mail stan.rees@slcc.edu. Strategic corporate resources are available to Utah’s women-owned businesses at Miller campus. Founded in 2007, the Women’s Business Institute programs connect skilled women with business development opportunity through non‑profit management training in business organization, planning, incorporation and leadership. Free start-up counseling is available by appointment. Call 801-957-5241, or e-mail wbi@slcc.edu. “[With] the generous legacy of Larry and Gail Miller, the creation of the SLCC Miller Campus has been an exceptional resource for our community,” wrote Director of the Women’s Institute Ann Mackin, in an e-smail. Miller business services are organized through community partnerships and service providers. Such partnerships include Utah Chambers of Commerce and state-funded investments like the Utah Science Technology and Research Initiative and the Manufacturing Extension Partnership, a company management cooperative that strives to create high-paying Utah employment and diverse business solutions. Small-business development is responsible for 64 percent of net new jobs created in the last 15 years.